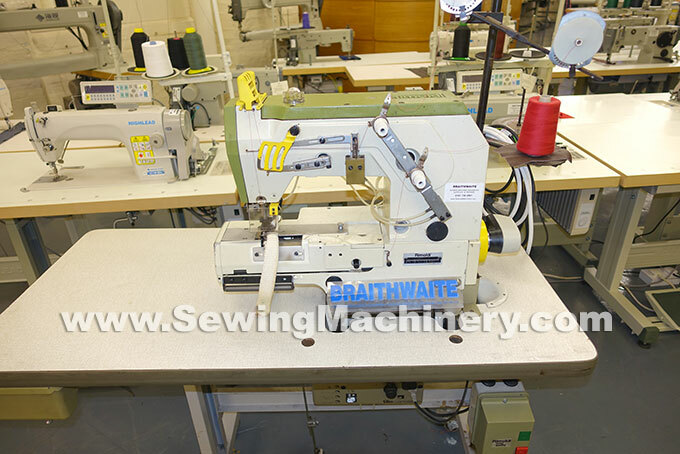 To attach ring selvedge knitted straps on knitwear garments. The head produces a stitch similar to linking. 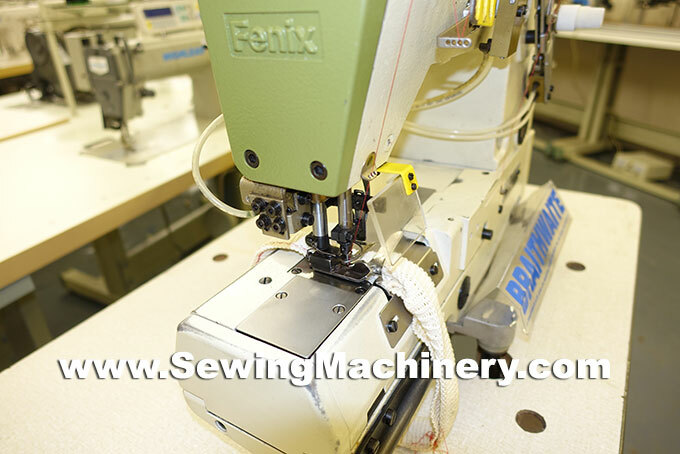 Top of range Rimoldi Fenix sewing machine made in Europe. 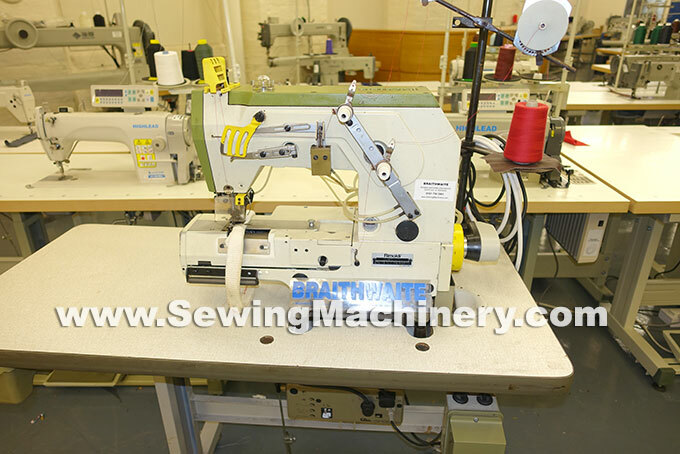 Fitted with German made Efka electronic needle position motor and automatic devices. 3 phase 380-415 factory power for production use air supply is required for the auto devices.